Loaned out by Arsenal, who had little use for him after signing Bernd Leno from Bayer Leverkusen, David Ospina has enjoyed a strong season for Napoli. Already playing 22 times for the Serie A side in all competitions, reaching 25 would trigger an automatic €4m release clause in his contract, making his temporary spell a permanent one. And this is where the issue lies. 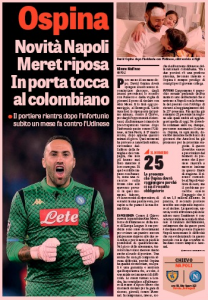 As has been reported earlier this month, Napoli, as a club, aren’t 100% sure keeping the Arsenal man is the best idea, especially since his €1.5m wages would see him earn more than their current starter, Alex Meret. 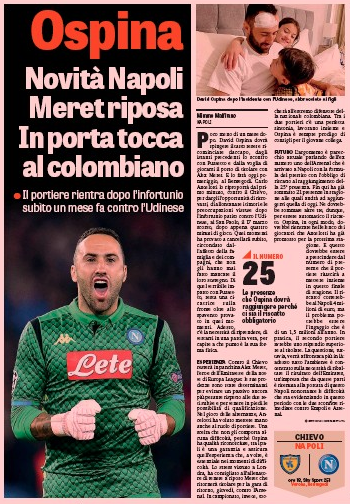 While Ospina’s will is to remain in Italy, as has been repeated numerous times by his father, his desires don’t really matter. What could be key, however, is Carlo Ancelotti wanting to keep him around for the next campaign, as Gazzetta dello Sport on Sunday believe the goalkeeper ‘should be included in the list of players the manager has promoted for next season’. 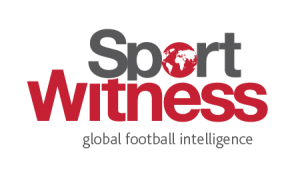 The fact Aurelio de Laurentiis sees a long-term future with the former Chelsea manager at the helm would suggest he probably won’t want to stand in his manager’s way over €4m. Ospina made his return at the weekend against Chievo in a 3-1 away win after suffering a head injury against Udinese a few weeks ago. 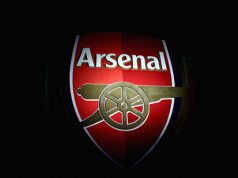 For the time being, Napoli’s focus is solely on the return leg in the Europa League against Ospina’s home club, Arsenal. After that, decisions will need to be made.